"Iridescent Powder is a finely milled mixture of Mica and pigments which gives the skin a beautiful sheen. It can be used on its own or mixed into other products like foundations or moisturisers to enhance their iridescent qualities. Designed to apply easily and uniformly without streaking and caking, it blends beautifully and can be applied on bare skin or over foundation. Because it's so concentrated it should be used sparingly at first. 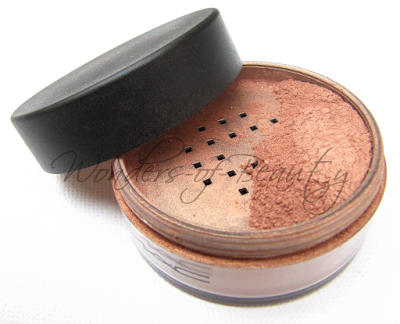 Apply Iridescent Powder with #129 Powder/Blush Brush for the desired effect." Though this product isn't new or anything, I wanted to share it with you all as some of you may have never come across it before. 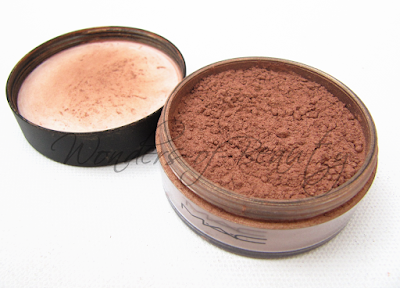 It is the MAC Iridescent Loose Powder which I own in Golden Bronze. I would describe this as a multipurpose product as I believe you can find many different uses for it. Before discovering this product through a YouTube video, I had never heard of it and I'm not too sure why. MAC Iridescent Loose Powder is available on the MAC website in two different colours: Golden Bronze (Golden brown with bronze shimmer) and Silver Dusk (Pinky beige with silver shimmer). I currently only own it in Golden Bronze and to be honest, I've never seen the Silver Dusk one as I ordered my Golden Bronze online from the MAC website. I decided to buy the Golden Bronze based on what I had seen in a YouTube video and I actually took no interest in trying to find out what Silver Dusk looked like as I assumed from the description on the website that it would not complement my skin tone. This product can be used for a number of things but personally I use it as a highlighter using my Sigma Tapered Highligher Brush. Like the MAC description says, it can be mixed in with your foundation to enhance their iridescent qualities. I haven't quite tried this yet because I am scared as the product is quite shimmery. 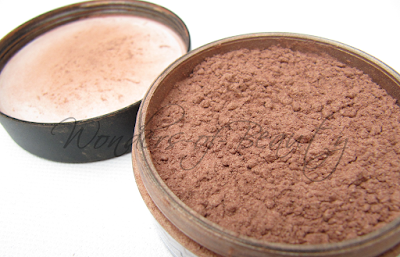 Because this is a loose powder, I find it can be quite messy at times and there has been times where I have wasted product because of this. 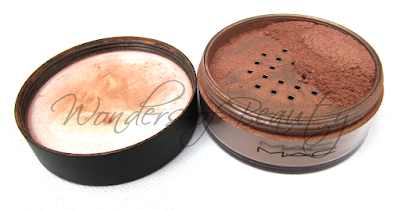 I think MAC released a pressed powder form called Belightful which was a limited edition product but it appears again in their new "Packed To Go" face kits. You can buy this product for £17.50 from MAC. 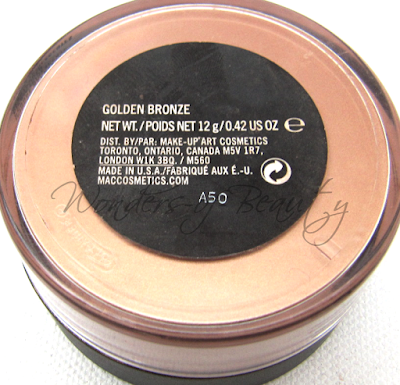 You get 12g of product for this price which I think is reasonable because it is very shimmery and concentrated so you only need a small amount of product. 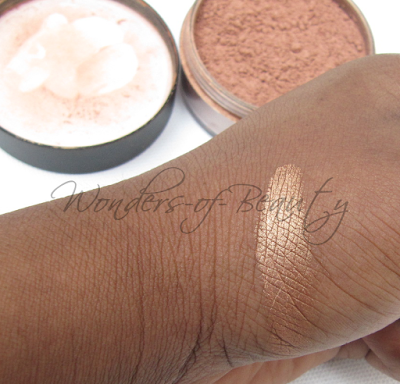 A little really does go a long way with these iridescent powders so it should last for years! Does anyone own any of the MAC Iridescent Powders?